Now that it’s possible to buy almost any audiobook for a few pounds*, I’m enjoying the luxury of being more choosy about what I read aloud to my children. Meanwhile, there are some books I just love to read aloud. Here are my top six read-aloud chapter books, chosen for the sheer joy they have brought us. 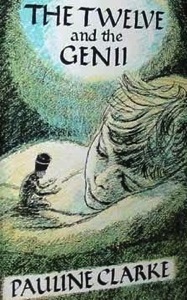 The story: Robert, Anthea, Cyril, Jane and their baby brother the Lamb find a sand fairy – “Psammead” – who reluctantly agrees to grant them wishes under certain conditions. None of the wishes turns out quite as the children intend, but each leads to an exciting adventure. Don’t: let the film put you off. I only managed to watch half of it. The book is infinitely better! The story: Eight-year old Max finds a box of old wooden soldiers, which come alive. Through the soldiers, Max and his sister discover some fascinating local history and help the soldiers in a quest to return to their rightful home. The story: Five year-old Heidi is taken high into the mountains to live with a misanthropic grandfather she has never met. Kind-hearted Heidi’s cheerful spirit thaws the old man’s heart and she settles into her new home well, only to have yet more changes thrust upon her. Why I love it: Heidi is a delightful character, so positive and trusting that things will turn out for the best. The exquisite descriptions of the Swiss mountain setting are like a breath of fresh air, too. The story: Nine-year old orphan Elizabeth Ann has been brought up by over-protective aunts who have infected her with their own neuroses and hypochondria. When circumstances change and the girl goes to live with different relatives, she enjoys discovering unsuspected capabilities and a new-found independence in herself. 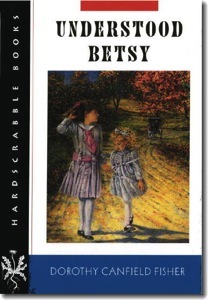 Why I love it: The characters are perfectly captured, the writing is charming, and Betsy’s transformation is a joy to behold. Understood Betsy is also the perfect read for homeschoolers, showing beautifully the difference between schooling and education. One scene is so well described I found tears rolling down my cheeks as I read aloud – much to the bemusement of my children, whose empathy capacities are not yet quite as developed as mine! The book mostly made us smile, though. The story: Charlie and his friend Henry are good boys with a talent for getting into mischief. In Charlie and the Cat Flap the boys plan the best sleepover ever. Needless to say things don’t go quite to plan. Why I love it: Charlie is one of those “adorable scamp” type of characters that everyone in our family can easily relate to. Hilary McKay has an enormous talent for setting up comical situations that make you laugh out loud as they unfold. Also for new readers: My children discovered Hilary McKay for themselves in our local library. She writes for a broad age range. 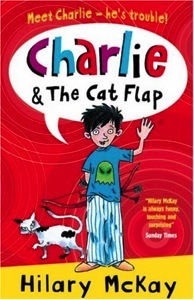 The Charlie series is suitable for fairly new readers, but I couldn’t resist reading it aloud to my son after I peeked at it over my six-year old daughter’s shoulder. We went on to read the entire series together, and many times I’ve given the books as gifts to young friends. The story: Plump Edmund and his thin brother Terry go through a secret entrance and find themselves in the Country Under the Earth, where their different sizes lead to them being segregated. Edmund is taken to live with the fat and congenial Fattipuffs, whereas Terry must go with the thin and cranky Thinifers. 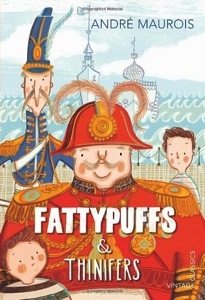 Why I love it: I adored Fattypuffs and Thinifers when my teacher read it to the class when I was seven (it’s one of only two books I remember being read to me as a child). Reading it as an adult, I was struck by the parallels with French and German history and was astounded to discover that the book was written by a French author several years before World War II, whose events it heavily foreshadows. 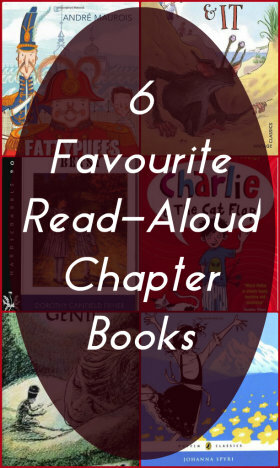 What chapter-book do you love to read aloud? 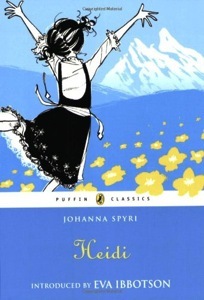 We loved Heidi too and the two sequels and I remember Understood Betsy, it too is a great read. I’m looking forward to looking these others up. A couple new to me titles there, I’ll have to have a peek. We’re all obsessesed with the Percy Jackson and Heroes of Olympus books by Rick Riordan right now–on House of Hades right now–and I’m as anxious to read the next chapter as they are. My eldest two are 11 and almost 9 right now, and reading aloud to them is still one of my favourite things… I rather hope they never want me to stop. We read JRR Tolkien together last year and that was pretty good (although man, talk about a slow moving book!) and some of the Harry Potters. Also absolutely love the Cressida Cowell dragon books. Geoff Smith’s Bone is another favourite (a graphic novel, but one that reads aloud really well). Good on you for reading them Tolkein! Perhaps I should brace myself and try again. I love Rick Riordan too but the trouble with audiobooks is that my kids have far more time than I do to listen so they race ahead of me. They also love the Kane Chronicles – those I really want to read too. I know what you mean about reading books that just don’t float your boat. I’m currently reading a book about Richard and Saladin, and whilst it is well written, it is not maybe my first choice of fun reading material! I’m having to feign excitement about reading it (shhh, don’t tell anyone!) and hope it is enough to get the children excited about listening. The five paragraph essay they have to write on the book at the end probably doesn’t aid in this goal…..
You are so good, Claire! And it’s true that sometimes it is worth sticking with something that doesn’t immediately appeal. Something for me to work on! Tiger is a big fan of Edith Nesbit’s books so I’m glad to see her book listed here too. I’ve not heard of “The Return of the Twelves” but it sounds like a really good one so I’ll go and check that out from my library. I think for Lord of the Rings I’ll have to resort to both audio books and having Tiger read them to himself since I think my voice will go really coarse if I were to read the trilogy out loud! Yes my voice tends to give up on the long reads too! The second Harry Potter was as long as I could manage – and that’s not nearly as long as they get! You’re lucky Tiger is such a prolific reader on his own. And I thank heaven for audiobooks! I’ll have to check out some of these “new-to-me” titles! Do let me know if you especially enjoy any of them, Christy! What a wonderful post! I’ve only read one of these books out loud – Heidi- so there’s lots more we could enjoy. 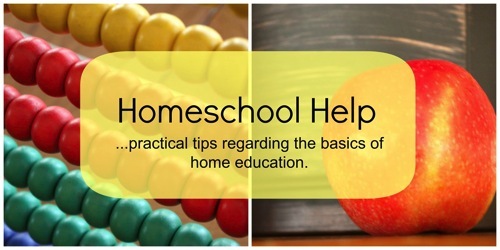 I must bookmark this post so next time we’re wondering what to read, I have some great ideas ready. I’ve read the Heidi sequels to the girls. They were written by Charles Tritten. Not as good but still enjoyable. I read all the Anne books too. That was a marathon! Some were better than others. Another series we all liked was The Shakespeare Stealers books. Meriol Trevor’s The Rose Round was delightful. I kept offering to read ‘one more chapter’ because I was enjoying it so much. We liked The Tale of Despereaux by Kate DiCamillo. It was MUCH better than the movie version. 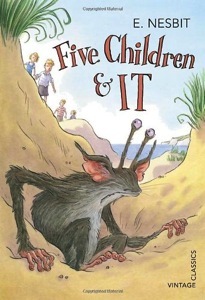 So were the book versions of Wendy Orr’s Nim and Nim’s Island. How about Noel Streatfeild’s books? I love reading out loud. It gives me a chance to enjoy a few children’s books, and there’s something special about sharing a good book with someone else who’s enjoying it too. In a moment I am off to finish reading The (Worst) Best Christmas Pageant Ever by Barbara Robinson. It is so funny! I could write about books forever but I’d better not! Thank you for your kind words and for your wonderful book recommendations! I haven’t come across many of these. Aren’t we lucky that so many talented writers have taken the time to put down their words for our enjoyment? So many years later in some cases. I must admit we tried Despereaux and no-one really took to it, but I’d like to come back and give it another try. I loved Noel Streatfield when I was a child. C(9) and I enjoyed Ballet Shoes but we’ve not tried any others – thanks for the reminder. I shall definitely check out the others you mention (exciting!). You can come over here and write about books any time!